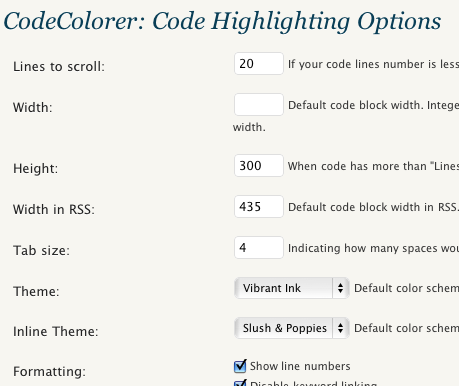 Building this blog I needed to find a good Code Highlight plugin to place my code into de post. After searching arround I found the best. 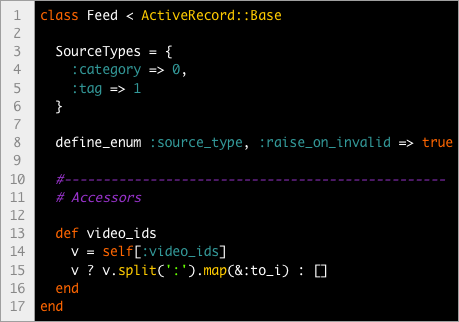 CodeColorer is the solution to this problem. You can set up colors, line numbers, width, height and more configs in the admin panel. 4.789.809 post views so far. This page needed 40 queries to load.